Background: Recently, the number of patients diagnosed with end-stage renal disease (ESRD) in Taiwan has been rising. ESRD is known to typically develop from chronic kidney disease (CKD). The objectives of the study were to describe the prevalence of CKD and to evaluate the associated factors among military aircrews. Materials and Methods: In this study, military aircrews that received physical examinations in four military hospitals between 2004 and 2010 were selected. The abbreviated modification of diet in renal disease (aMDRD) formula was used to calculate glomerular filtration rates (GFRs). Urine protein, urine red blood cells, and urine pH values were used to define whether patients had CKD. This study analyzed 1317 cases. Results: The prevalence of CKD was 10.4% in the military aircrews. The risk of CKD was statistically significant higher in positive urine occult blood, high bilirubin, hyperuricemia, high total cholesterol, and each additional 1-year of age with odds ratio (95% confidence interval): 6.53 (3.86-11.06), 2.62 (1.28-5.37), 1.95 (1.11-3.42), 1.76 (1.05-2.95), and 1.03 (1.00-1.07), respectively. Conclusions: The majority of the participants diagnosed with CKD were in the early stages of the disease. The aMDRD formula could be calculated from annual physical examination results for using to understand GFRs and increase awareness of the kidney function, thereby delaying disease progression. Background: In our previous study, HSA-PEI demonstrated high pDNA transfection efficiency and low cytotoxicity. Materials and Methods: In this study, the relationship between albumin receptors and the high pDNA transfection efficiency of HSA-PEI was investigated by fluorescent microscopy and flow-cytometer in A549 cells. 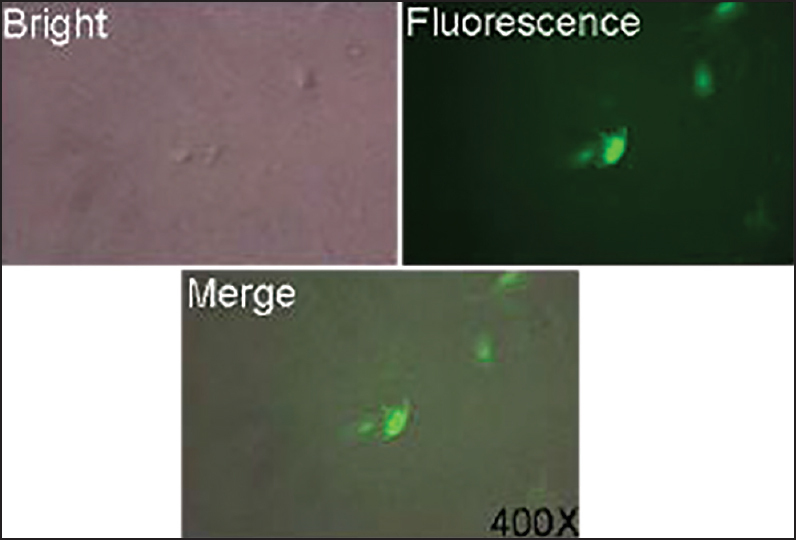 Results: According to our results, the presence of an albumin receptor on A549 cells was confirmed via the application of a fluorescent tracer, FITC-HSA, and the dose-dependent competition of HSA. The transfection efficiency of HSA-PEI/pEGFP showed a dose-dependent inhibition when different amounts of HSA were added to the culture medium of the A549 cells. However, the inhibitory effect of HSA did not affect the transfection efficiency of some cationic transfection enhancement reagents, such as lipofectamine, jetPEI-RGD or PEI; their transfection was a result of contact between the positively charged reagents and the negatively charged cell surface. Conclusion: It was determined that, unlike other cationic reagents, the high transfection efficiency of HSA-PEI was not from the electronic effect but, instead, predominantly from its ligand effect. Background: Portland cement (PC), the base material of mineral trioxide aggregate has been applied in vivo and in vitro studies, and showed promising physical and mechanical properties on several cell lineages but human dental pulp stem cells (DPSCs), known as mesenchymal stem cells with their multipotency. Our study aims to evaluate the cytotoxicity of PC mixing with distilled water (Td) or normal saline (Tn) on DPSCs. Materials and Methods: DPSCs were isolated from pulp tissue and identified before viability assay. DPSCs were treated with the concentration of 100%, 50%, 25%, 12.5% and 6.25% extracts in Td and Tn. Cell viability was evaluate after 24 h, 48 h, 72 h and 7 days treating. 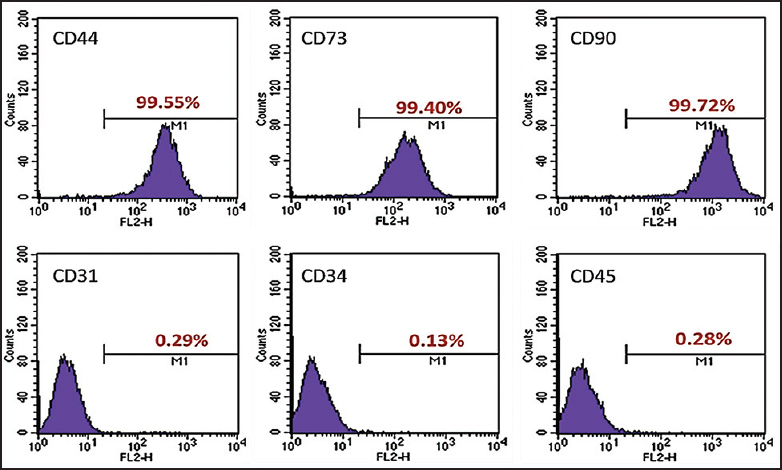 Cells were analyzed for cell surface antigen expression by flow cytometry. The pH levels of extracts were detected by pH meter. Cell viability was determined with cell counting kit-8 assay. Results: Viability of Td and Tn showed the general trend that dropped slightly at 24 h, increased at 48 h then showed no statistical differences to control at 72 h. The viability of the concentration of 100% groups dropped gradually from 24 h to 72 h. Cell proliferation was improved in low concentration groups on 48 h and 72 h. On day 7, cell viability showed no statistical difference to control except Tn 50% (110.9%) and Tn 100% (84.0%). Conclusions: PC is probably a potential candidate for the use of pulp therapy, or further, a budding material for pulp regeneration. Background: Ventilator-associated pneumonia (VAP) occurs in patients requiring mechanical ventilators for more than 48 h. VAP is the most common nosocomial infection and the leading cause of complications and death in intensive care units (ICUs). 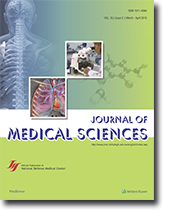 Materials and Methods: Two historical comparison groups of 375 patients who used mechanical ventilators for more than 48 h in the medical ICU (MICU) from December 1, 2011 to May 31, 2012 and December 1, 2013 to May 31, 2014 were enrolled in this study. There were 194 adult patients in the control group that received traditional care, and there were 181 patients in the experimental VAP care bundle group. Our VAP care bundle entailed several preventive strategies including daily assessments of sedation, daily consideration of weaning and extubation by the doctors and respiratory therapists charged with the care of the patients, maintenance of the intra-cuff pressure values at approximately 20-30 cm H 2 O, hand hygiene, daily oral hygiene, personal protective equipment for suctioning, the placement of patients in semi-recumbent positions with the head of the bed elevated to at least 30°, aspiration of an endotracheal tube and oral cavity prior to position changes, daily cleaning of the ventilator and suction bottle with sterile distilled water, weekly replacement of the ventilator circuit and heater, sterilization of the circuit by pasteurization, and the use of an independent care room. The data were collected by reviewing the patients' medical records and by retrieving information from the Nosocomial Infection Control Unit of one medical center in Northern Taiwan. Results: The incidence of VAP in the VAP care bundle group (0.281 cases per 1000 ventilator days) was significantly lower than that in the control group (0.495 cases per 1000 ventilator days). We estimated that the occurrence of VAP in the MICU increased the medical costs by an average of NT $68317 per patient. Conclusions: VAP care bundle is an effective strategy to reduce the incidence of VAP in the MICU and to reduce healthcare costs. 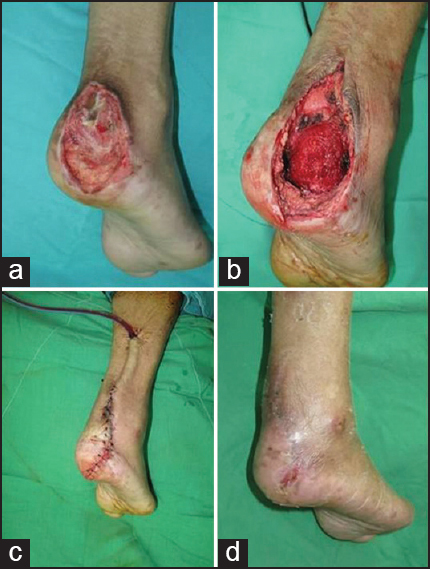 Heel ulcers in patients with severe peripheral artery occlusive disease represent a challenge to the treating physician. They become more difficult to treat with underlying medical comorbidities. We report a case of 76-year-old man with hypertension, diabetes mellitus, and end-stage renal disease in uremia status presented to our hospital with a 3-month history of a diabetic foot ulcer on his right heel. He was diagnosed with near total artery occlusion below the knee at the local hospital, and vascular reconstruction failed. After admission, surgical debridement was performed with subsequent partial calcanectomy facilitating wound closure without tension. After surgery, the foot was immobilized with a short-leg splint for 2 weeks. Thereafter, ankle immobilization was accomplished using a thermal protective plastic splint and cast shoes with a posterior window for wound care. The wound healed well with no recurrence during the 12-month follow-up period, and the patient may return to an ambulatory status, including a normal gait pattern. In this case, we demonstrate that the partial calcanectomy is practical for the treatment of plantar heel ulcers in a patient with severe comorbidities. With proper surgical planning and postoperative care, partial calcanectomy is a viable alternative to below-the-knee amputation and may better serve the patient who would otherwise be restricted to a sedentary lifestyle. Peripheral neuropathy in COPD has received scanty attention despite the fact that very often clinicians come across COPD patients having clinical features suggestive of peripheral neuropathy while this comorbidity is often overlooked & considered a separate entity. A number of studies have now confirmed the association of COPD and peripheral neuropathy with hypoxaemia being a dominant etiopathogenic factor among others. We report a case a demyelinating polyradiculopathy in a patient with COPD along with a brief review of literature. Pelvic endometriosis is one of the most common benign gynecological disorders, affecting 5-10% of menstruating women. Intestinal involvement occurs in 3-37% of patients and usually affects the rectosigmoid colon. Colonic endometrial lesions commonly affect only the serosa, and the majority of patients are asymptomatic. Besides, only the serosa and the muscularis propria are usually involved, while the mucosa is very rarely affected. Here we present a rare case of rectosigmoid endometriosis with mucosal invasion which caused abdominal pain, recurrent bloody feces, and mimicked carcinoma of the rectosigmoid on endoscopy. Biopsy proved the diagnosis of endometriosis. The patient underwent anterior resection due to recurrent symptoms and recovered uneventfully. This case demonstrates the propensity of intestinal endometrosis to mimic colon cancer on endoscopic examination. Tissue should be obtained from these patients for histologic study before definitive therapy is decided. The presentation of disseminated peritoneal leiomyomatosis (DPL) can be misleading. 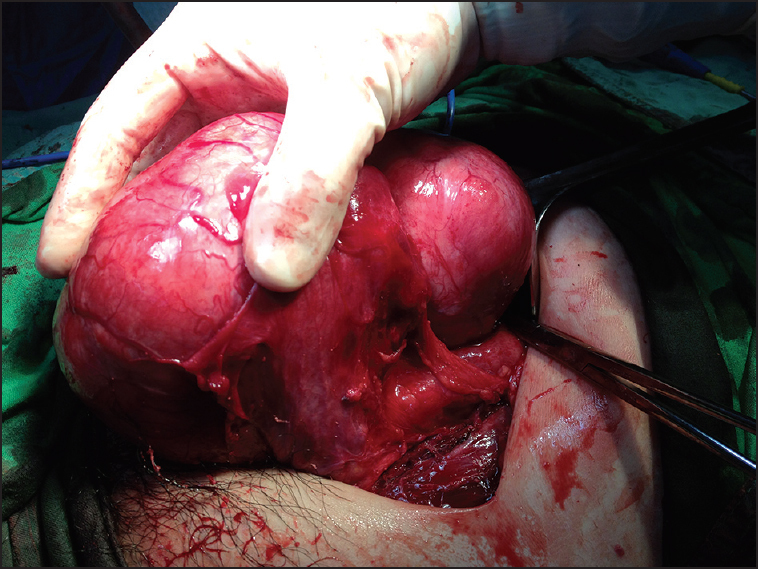 Herein, we present the case of a 42-year-old nulliparous female who had previously undergone a total hysterectomy and presented with an acute abdomen. A presumptive diagnosis of ovarian torsion was made based on the clinical findings and an ultrasonographic examination. A diagnostic laparoscopy was performed immediately. DPL was subsequently diagnosed based on an intra-operative frozen section during surgical exploration and the final histopathologic examination. This case illustrates an atypical presentation of DPL mimicking ovarian torsion. Street children refer to a vulnerable section of children who lives on the street in the absence of any guidance of a responsible person, to ensure their own or their family's survival. Multiple determinants have been ascertained in the causation of the menace of street children. In order to address the challenges faced by street children, there is an indispensable need to develop a comprehensive strategy by involving all the concerned stakeholders. To conclude, to counter the menace of street children, there is a definite need to understand the role of heterogeneous determinants that push children towards street life, so that the welfare needs of street children can be safeguarded and the problem can be addressed at the grass root level.